As long as they're comfortable, I guess. "I need a new place to nap. Well ... ... THERE ! Lets go." Una de mis gatas hace esto mismo, ya lleva varias cosas destruidas. "I'm not allowed there? WHO CARES?" Wow, Excellent post. This article is really very interesting and enjoyable. I think its must be helpful for us . Thanks for sharing your nice post. 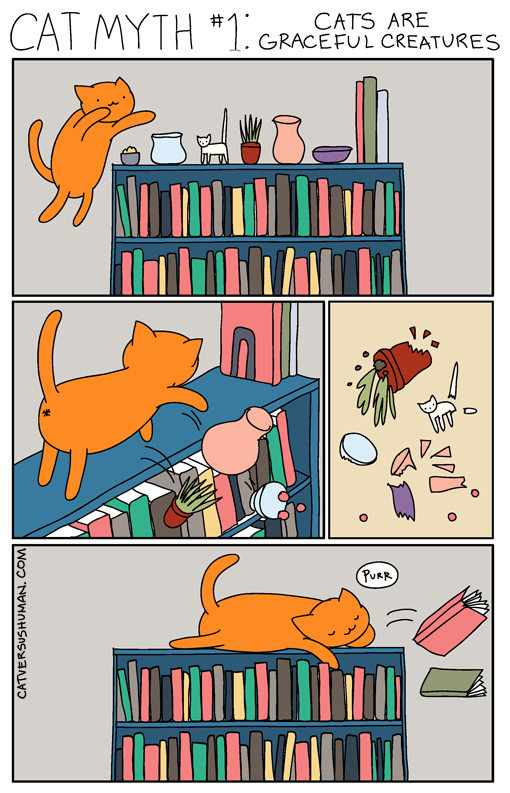 Our first cat Richard (true of voice) did exactly this. He jumped onto the mantelpiece and walked along, casually showering objects behind him. By a miracle the lamp with the glass shade fell onto the seat of my chair, but the vase my parents got as a wedding present has had a chip out of it ever since. No matter the place if they want to take nap there THEY WILL! LOL!